Sparkly Personalised Necklace with Engraving on the back. 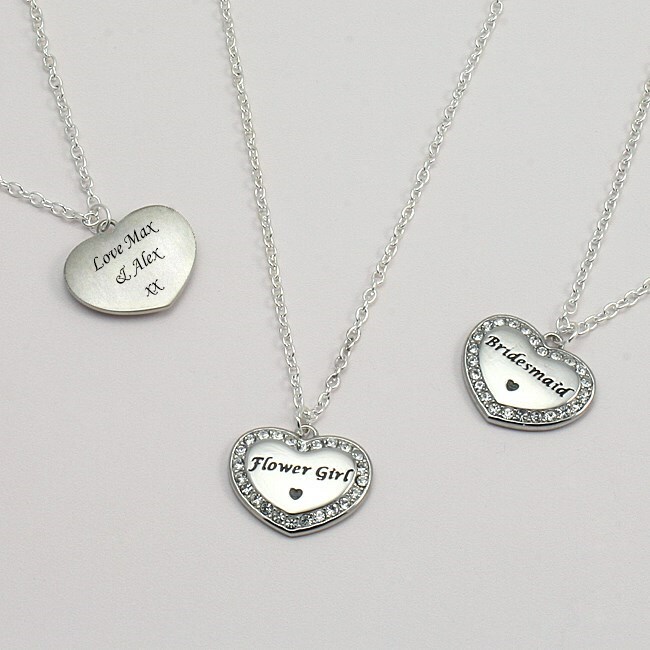 Pendant choices: Mummy, Sister, Flower Girl, Auntie, Mum, Daughter, Nanny or Bridesmaid. A lovely necklace with an engraved steel heart framed with Swarovski crystals with free engraving on the back of the heart. « Birthstone Bracelet on Choice of Card Mounts for Flower Girl or Bridesmaid.